Jetpack Joyride 1.3 will be officially launched on April 26th as a FREE update which means it’s time to delve deeper into the awesome gadgets awaiting Barry Steakfries! In a nutshell, users can look forward to 15 game-changing gadgets which are tailored to suit the needs of any player no matter how they like to play. 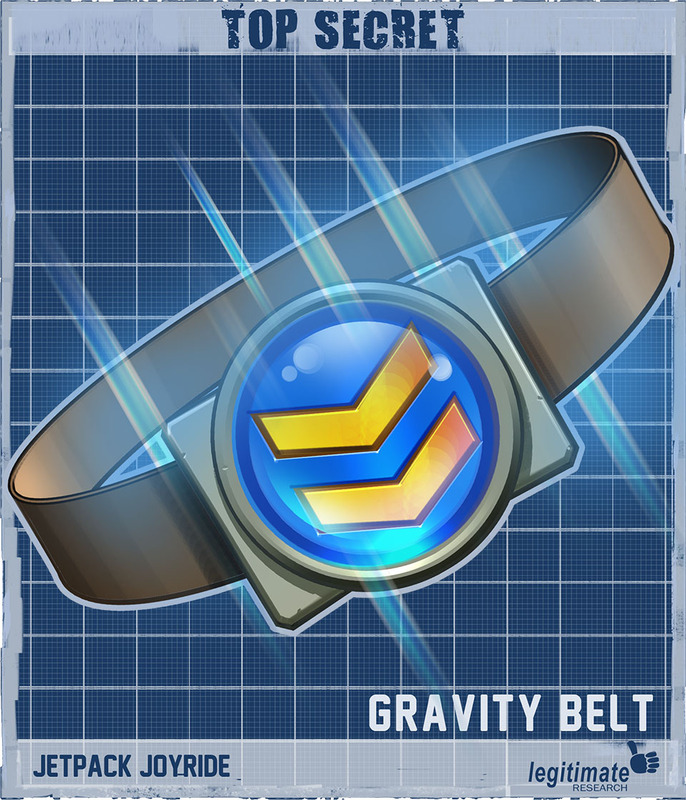 These gadgets will be available for purchase in the Stash, giving more options to players stockpiling those hard-earned coins! There are more than 100 potential combinations in total and players will need to work their way through five sectors in order to unlock every gadget in the game. Players can also mix and match any two gadgets, which can then be used an unlimited number of times after purchase. Read on for a full breakdown of the newest additions to Jetpack Joyride including how much they’ll cost and their item descriptions! The patent-pending formula is so potent that the whole laboratory had to be abandoned. Bounce off the floor instead of going splat. Great for traveling a few extra meters. There’s no better way to cool down after a hard run than being snap-frozen in a solid block of ice. It also helps you slide a few extra meters. This high-tech eyewear is both fashionable and functional. Now you can look inside vehicle pickups and other places you’re not supposed to see. A special blingification technique that converts coins into high-value gems. For some reason it only works on coins minted in 1985. If you’re going to play a game of chicken with a missile, make sure it’s an Ezy-Dodge! Stop off at the motor pool before smashing through the laboratory wall. Why didn’t Barry think of this earlier. Once you get used to the feeling of being endlessly pelted with coins you will start to wonder how you ever lived without it. Your final spin token is forged from fortunium, the world’s luckiest element.